It is my pleasure to introduce Fr. Armash Bagdasarian to our community in the role of Assistant Pastor. Der Armash is married to Yn. Maran and they have a son, Nathaniel. (Below is a summary of his biography.) Please join me in welcoming Der Armash and his family to our Church Community this coming Sunday when he will perform his first Badarak at St. John. The Reverend Father Armash Bagdasarian was born in Istanbul with the baptismal name Vahé. At a very young age, he began serving the local Armenian Church as an acolyte and choir member. Der Hayr received his early education in the local schools, including the Ozel Icik Lyceum High School. Additionally, the Armenian Patriarchate of Constantinople sponsored him to pursue courses in the Old and New Testament at the local All Saints Presbyterian Church. Upon Der Hayr's graduation from Istanbul's Kultur University in 1998, he moved to the New York City metropolitan area, where he continued serving at the Holy Cross Armenian Church of Union City, NJ. Der Armash worked as a diamond setter in New York's Diamond District for many years, and enrolled in English language courses at Hunter and Baruch Colleges in Manhattan in order to improve his fluency and literacy in the English language. In 1999, the rank of Sub-Deacon was bestowed upon Der Armash by Archbishop Khajag Barsamian, Primate of the Eastern Diocese of America. Following, in 2002, Der Hayr was ordained a Deacon at the Holy Cross Church. With the encouragement and blessings of Khajag Srpazan, Der Hayr enrolled in the "St. Nersess the Great Masters Program" at St. Nersess Armenian Seminary in the fall of 2012. He graduated from the program in the spring of 2015. Additionally, Der Hayr completed the Clinical Pastoral Education Program at the Palisades Medical Center in NJ, and was a pastoral intern at St. Leon Armenian Church (Fair Lawn, NJ) under the guidance of its pastor, the Rev. Fr. Diran Bohajian. On July 24, 2016, Der Armash was ordained at St. Vartan Armenian Cathedral to the holy priesthood by Archbishop Khajag Barsamian. 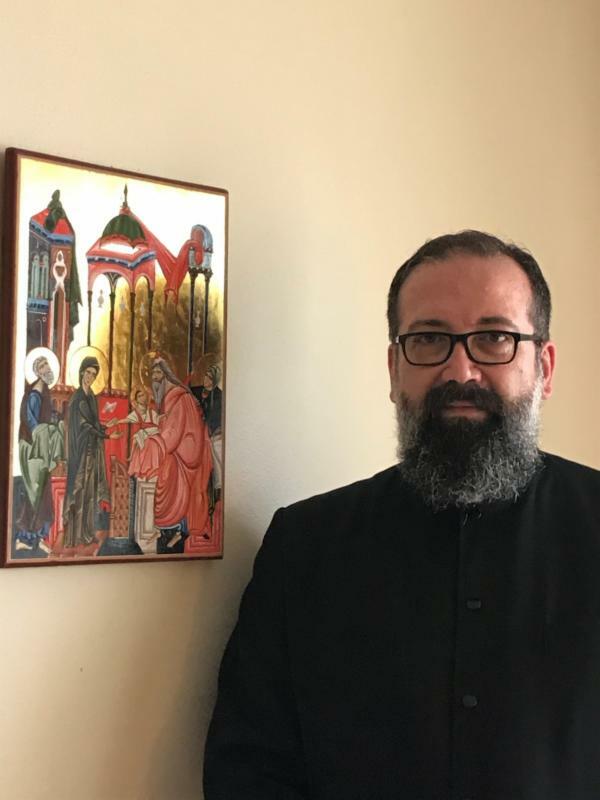 He completed his karasoonk, or forty day seclusion period, at St. Nersess Seminary, then assumed the pastorate of Soorp Haroutiun Armenian Church in Orlando, FL, where he was the Pastor until early January 2018.